Wines from Spain are some of my favorites and this one does not disappoint. The Spanish wine category often is overlooked, but time after time I am never surprised by their quality and value. 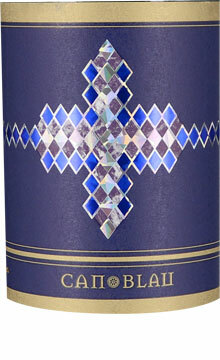 Can Blau Cellars was established in 2003 and is one of the oldest projects of the Gil Family in Jumilla. Nuria Lopez Sarroca oversees the technical direction of the winery. The Cariñena and Garnacha vines used to produce this wine has an approximate age ranging from 25 to 40 years, the vineyards of Garnacha are around 2,000 ft altitude in the area of Cornudella de Montsant on slate soils, Cariñena vineyards in Darmós and Masroig area on clay soils and Syrah vineyards are located on limestone soils. The 2015 vintage is comprised of 3 varietals: Carinena, Syrah, and Garnacha and aged for 12 months in French Oak Barrels. On the nose you will notice wood smoke, spice box, incense, lavender, black cherry and plum aromas. The flavors are mouth-filling, round, and dense with outstanding grip and length. It over-delivers in a big way. Drink it over the next 6-8 years. The 2015 vintage received a score of 93 points from wine critic James Suckling. Food Pairings would include rice, pasta, vegetables, mushrooms, stewed meats, sausage, pork, roast meat, grilled meats or short to medium cured cheeses. My favorite pairing with Can Blau is a traditional Spanish Paella. 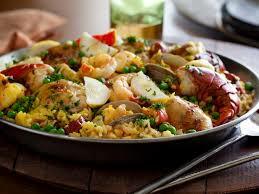 Click on the link below for a recipe for Tyler Florence’s Ultimate Paella!